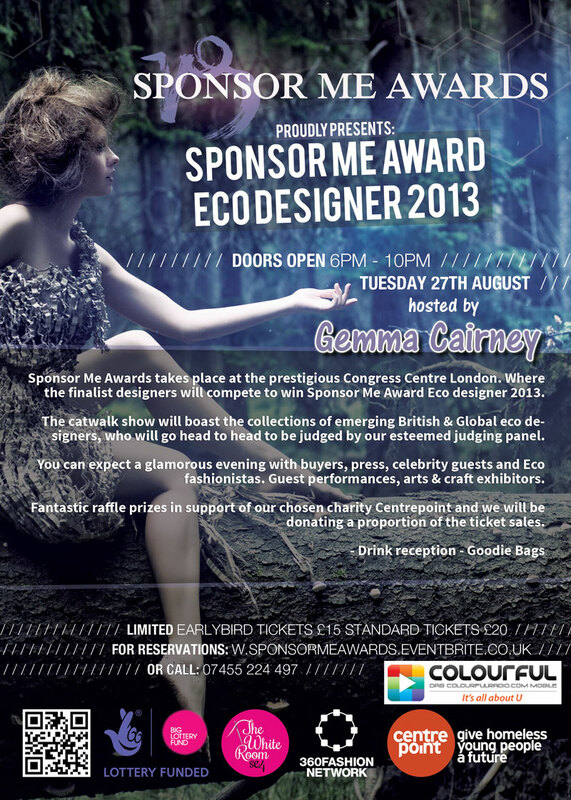 We’ve made it through to the finals of the Sponsor Me Award Eco Designer of the Year 2013, held at the prestigious Congress Centre, London on 27th August and hosted by Radio 1’s Gemma Cairney. Come on down to support ethical and sustainable fashion and UK manufacturing. More prizes to be won on the night, including return flights to any Spanish destination, in support of Centrepoint. Better still, you can win a pair of free tickets to attend the show from our competitions page.